We love to hear feedback from our member businesses. Intelligent Labor & Moving has been a loyal and committed member of Cambridge Local First for nearly a decade. They believe in delivering quality service, giving back to their community, and being environmentally and socially conscious. They recently reached out to let us know how their CLF connections came through in a big way. Several years ago, as they were thinking about how they would take the business to the next level of growth, they knew they’d need a banking partner. No surprise, they found a trustworthy, reliable partner in Cambridge Savings Bank, a founding member bank of Cambridge Local First. CSB helped Intelligent Labor & Moving access a cost-effective loan through the Small Business Administration (SBA). 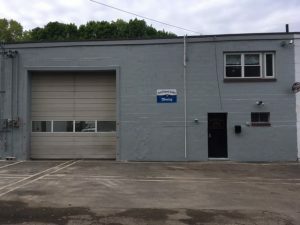 The loan only required a 10% down payment, which allowed them to use additional money they had saved to install solar panels on the warehouse. As a company that has long been an environmental advocate, they were always looking for ways to “go green.” They also know that green practices are good for the bottom line. Navigating the complex world of solar panel vendors could have been time-consuming and overwhelming. Fortunately, they were able to connect with long-time CLF member Iggy’s Bread who gave them a high-quality referral. Today, Intelligent Labor & Moving not only generates enough solar energy to power its warehouse, it gets money back from the surplus! We are grateful for Intelligent Labor & Moving’s long-time commitment CLF and are proud to know that our community of local businesses are working together to help each other succeed – both financially and for the greater good.